A Fusion RX insert blends feel with true roll technology to get putts rolling quicker. 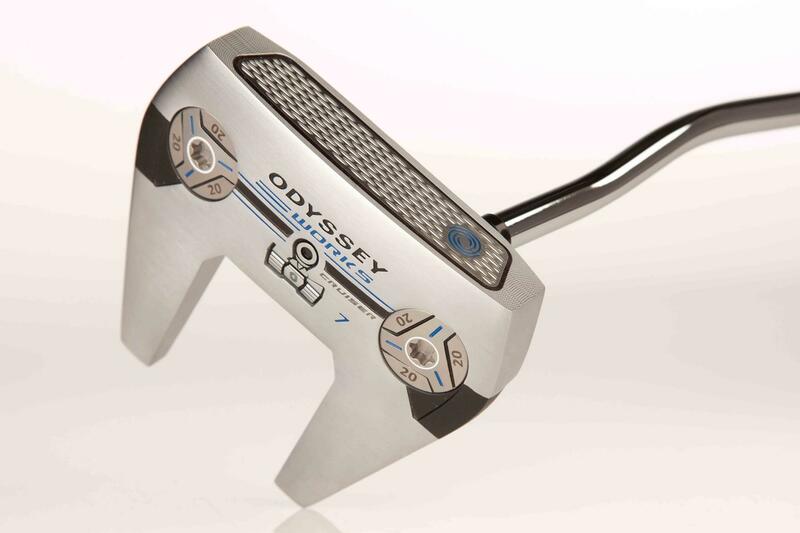 The 2-Ball alignment system is framed by Odyssey’s Versa alignment system, Dual Fang’s at the back of the head help raise MOI for added stability, accuracy and control. If your game dictates that you need ultimate putter head stability on the greens then you’ve found your match with the Fang. We thought there was a real difference in consistency with the Fang and lower MOI putters, which ultimately should translate to more holed putts for a majority of golfers. The two-ball design is iconic and still as good as ever at helping you set up squarely and swing the putter on a straight down the line path. The combination Fusion RX insert gives a firm feel and excellent end-over-end roll. The most forgiving two-ball ever say Odyssey, and we’d have to agree. Two low and deep MOI enhancing Fangs maximise forgiveness, and a little extra weight in the head is just what most putting doctors would prescribe as a remedy for erratic performance on the greens.